Greece with Doctors of the World (Medecins du monde). Chios Island, one of the places where refugees from Turkey land en route to Northern Europe. 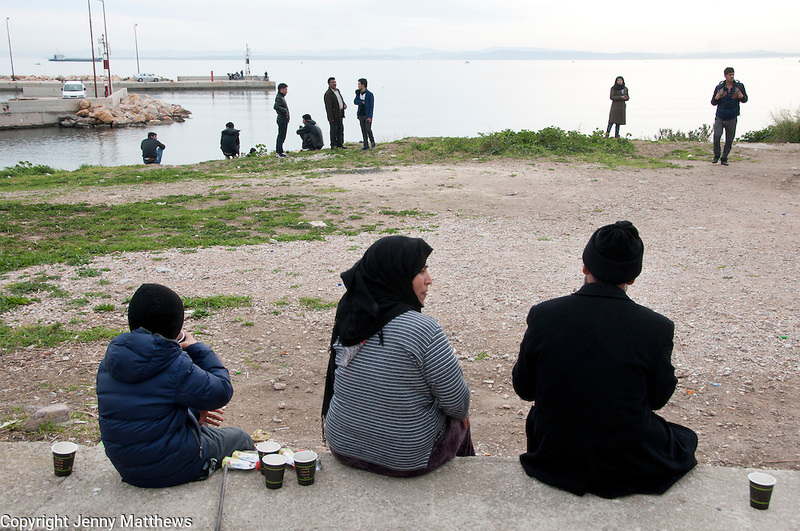 Newly arrived refugees relax on the beach next to the camp.